The Department of Education reported there were 235 school-related shootings in the United States during the 2015-16 school year, but NPR could confirm less than 5 percent of the incidents occurred in a new report. The Department of Education told NPR it relied on school districts to give accurate information in its annual Civil Rights Data Collection. It asked for the 2015-16 school year, "Has there been at least one incident at your school that involved a shooting (regardless of whether anyone was hurt)?" It published the eye-popping number—"nearly 240 schools (0.2 percent of all schools)"—this spring. One of the biggest reasons for the discrepancy in the Civil Rights Data Collection number was the Cleveland Metropolitan School District listing 37 incidents in its district alone for that year. 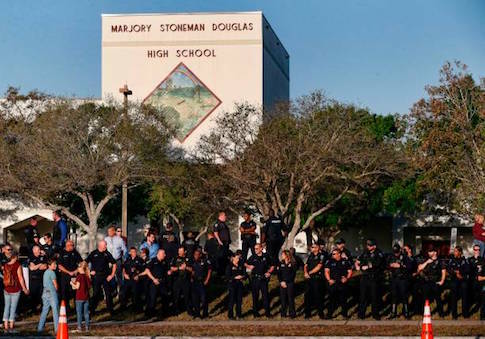 Roseann Canfora, the district's chief communications officer, told NPR that 37 schools had in fact reported incidents involving "possession of a knife or a firearm," the previous question on the form. The district slotted the number in the wrong line in the survey. This entry was posted in Issues and tagged Gun Control, Guns, NPR, Schools. Bookmark the permalink.